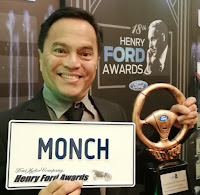 Presiding over the unveiling were Auto Nation Group president Felix R. Ang and chief operating officer Francis Jonathan C. Ang together with Fiat Chrysler Automobiles Asia Pacific executives Steve Zanlunghi, head of Jeep brand for Asia Pacific; Mike Tsesmelis, managing director for Asia Pacific; and Isaac Yeo, country head for the Philippines. The Jeep Wrangler Rubicon’s profile is unmistakable with its defining attribute, well-sculpted lines, and muscular stance. 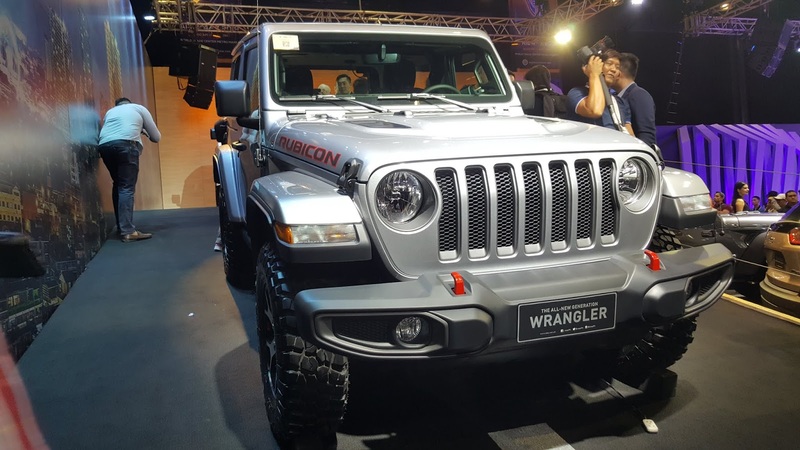 The Rubicon carries the tradition of the iconic 7-slot grille which is now improved with a more aerodynamic design. Drive through uncharted terrain with the LT255/75R17C tires with all-aluminum wheels and enjoy more open-air driving as the Wrangler’s lightweight aluminum built makes key parts such as the hood, fenders, swing gate, doors and hinges easy to remove in less than 20 minutes. The windshield can easily be folded down while retaining the rearview mirror in place. Never get lost with the GPS Antenna input equipped on the Rubicon. Additionally, the Rubicon comes with outside temperature gauge, front and rear fog lamps, body color 3-piece hard top, and body color fender flares. The Unlimited Rubicon also offers a longer wheelbase than its 2-door counterpart. The Rubicon’s interior combines authentic styling, versatility, comfort, and intuitive feature use. 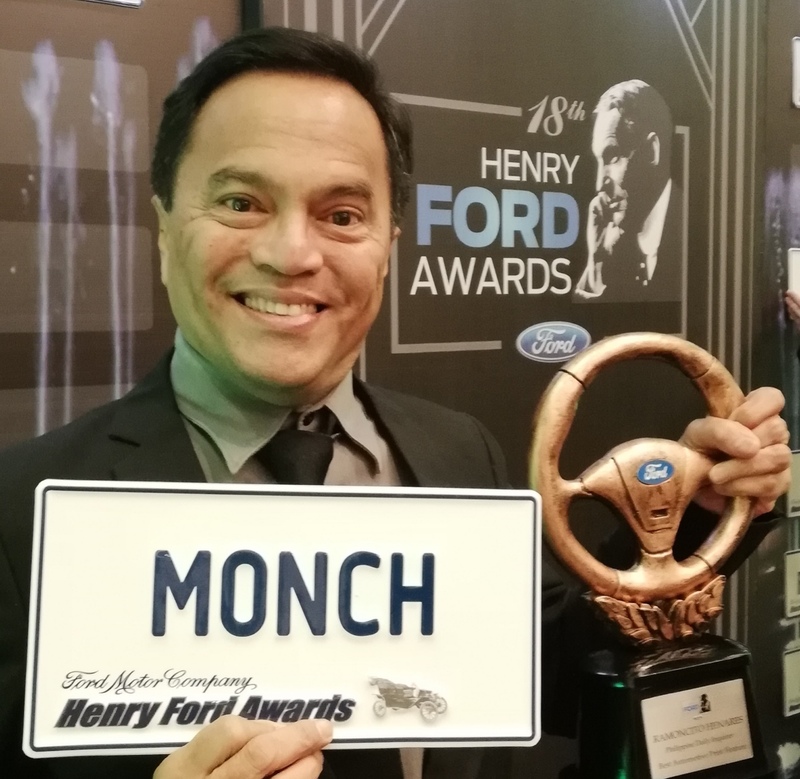 The modern yet iconic design of the Wrangler continues inside the vehicle, defined by sculptured forms, signature Jeep design elements, soft touch high-quality materials, and state-of-the-art technology that make it equal and comparable to luxury SUVs. Everything in the driver’s cockpit – from the new steering wheel to the reconfigurable driver cluster – is designed for intuitive use. 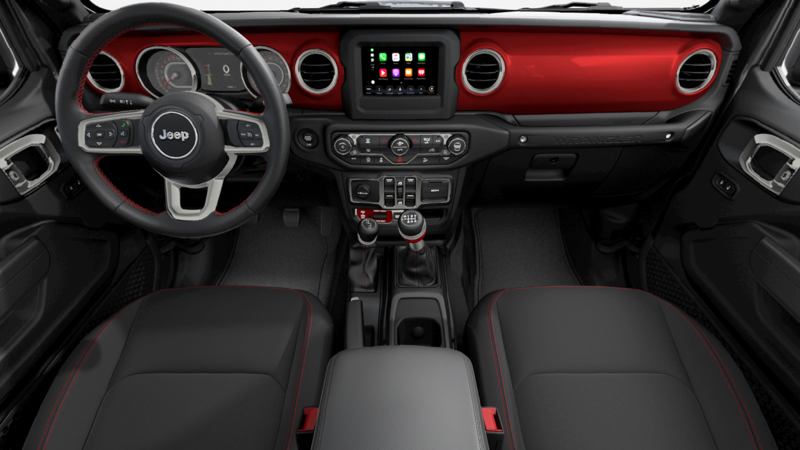 Smartphone integration has never been easier for the Rubicon with the UConnect 4 system with NAV and an 8.4” touchscreen display equipped with Apple CarPlay and Android Auto. The Jeep Wrangler Rubicon also offers 230V auxiliary power outlet. For the Rubicon, Jeep brings back the ever-resilient 3.6-liter Pentastar® V6 engine with Engine Stop-Start (ESS) with a power output of 286hp and 353Nm of torque. Also offered is a 2.0-liter turbocharged inline four-cylinder engine with Engine Stop-Start (ESS) which produces 268hp of power with 400Nm of torque. Both engines are mated with an 8-speed automatic transmission. Equipped with a Trail Rated badge, the legendary Jeep Wrangler Rubicon features Rock-Trac 4x4 system with a “4LO” ratio of 4:1 and Tru-Lok locking differentials standard on Rubicon models. The Rubicon is also equipped with skid plates, front and rear tow hooks, an all-new front fascia and available front and rear steel heavy-duty off-road winch-ready bumpers with removable end caps for water fording and towing. 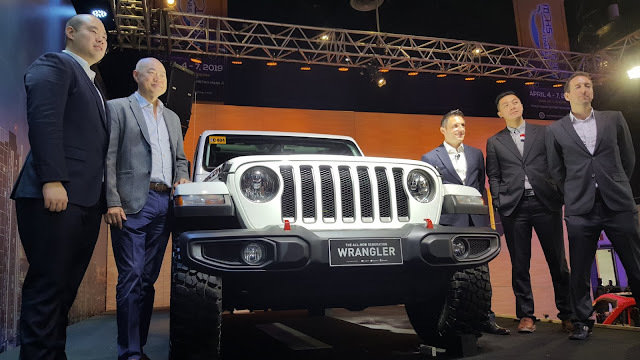 The All-New Generation Jeep Wrangler Rubicon boasts of the ultimate 4x4 Jeep driving experience, advanced fuel-efficient powertrains, more open-air options, an enhanced and digitized cockpit, and a load of safety features and advanced technology, making it the most capable SUV in the market. The all-new Wrangler Rubicon receives a huge upgrade on safety and security with more than 75 available active and passive safety and security features, which include blind spot monitoring, rear cross path detection, park-view rear backup camera with dynamic grid lines, electronic stability control and multiple airbags. The launch of the all-new Wrangler Rubicon also marks a milestone for Auto Nation Group as it celebrates 15 years as the official importer and distributor of Chrysler, Dodge, Jeep and RAM vehicles in the Philippines.